People aren’t born with success. Though different people have their own unique skills and abilities, anyone can be successful if they can commit to cultivating the right habits, and the correct attitude. Over the years, countless experts have researched the nature of achievement, attempting to discover what it is that sets the most prosperous people aside from the crowd. Frequently, studies show that the people who achieve the most in life conduct themselves differently, acting with confidence, discipline, and other crucial characteristics. 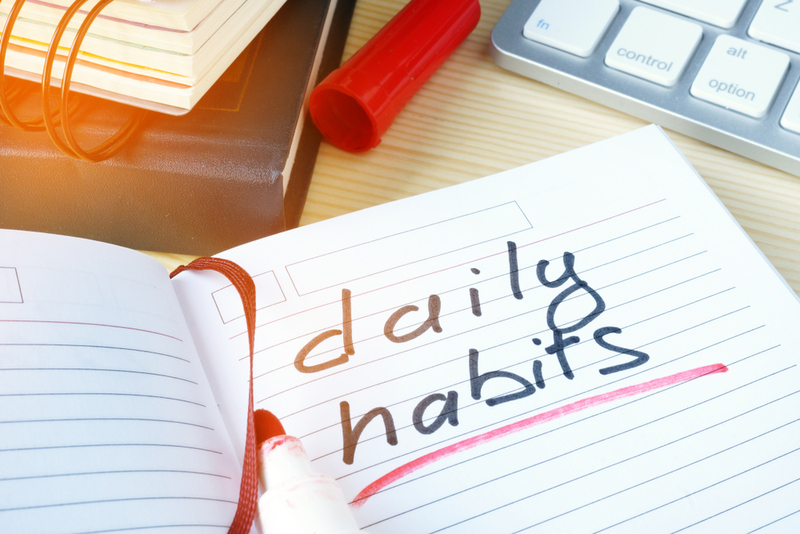 Here we’re going to look at the 7 daily habits you can infuse into your routine to become a more accomplished person. When’s the last time you reviewed your career plan? Goal setting is the first step in accomplishing incredible things because it gives you focus and direction. When you establish a target for your hard work, you switch from a passive state where things just “happen” to you, to an active state where you’re involved in your own life. Importantly, your goals don’t have to be exclusively career-based. It’s great to pursue a position as a c-suite candidate or work towards a leadership role. However, make sure you’re working on your personal goals too. For instance, you might want to become more socially confident or learn how to manage your time better. Get plenty of exercise to improve your stamina, manage stress and keep your body in excellent condition. Get at least 8 hours of sleep each night so you can start each day feeling refreshed and ready to accomplish great things. Eat the right foods to nourish your mind and body, and drink plenty of water to keep your brain working at peak performance. Often, when we arrive at the office, we find dozens of tasks waiting for us. It’s tempting to start at the top and gradually work your way down. However, the better option is to assess the things you need to do for any given day and organise your schedule so that you’re addressing the most complex and essential tasks fist. Take fifteen minutes in your morning to sort through your jobs for the day and focus on the things that can’t wait. While you’re organising your tasks, keep your goals in mind, and consider where you might be able to delegate specific issues to other members of your high-performing team. Read about your industry, career path, or check out the memoirs of other successful people to inspire you. Look for a mentor: A mentor will provide you with the guidance you need to take the next step in your professional plan. Get additional training: Sign up for classes and seminars where you can learn skills that will make you more effective in your role. For instance, if you’re looking for a financial manager position, take a class on leadership. People frequently talk about the power of communication in any career, but great communication starts with listening. According to Dr Stephen R. Covey, an American educator, businessman, and the author of “The 7 Habits of Highly Effective People”, listening is the key to success. This means that whether you’re an account supervisor, business leader, or a brand-new employee, it’s crucial to listen and learn from the people around you. Getting as much feedback as possible from your peers is a great way to get a new perspective on how you need to develop as a professional. A common mistake that people make is assuming that they need to say “yes” to everything if they want to achieve incredible things. However, the truth is that we’re all only capable of so much. It’s difficult to say “no” when you want to impress your manager and seek out new challenges. However, politely rejecting the tasks that you don’t have time to manage ensures that you can deliver a higher quality of work. Sometimes it’s better to say “no” and deliver the results your business leaders expect than to say “yes” and struggle to perform. Assess requests carefully before you simply say “yes” on reflex. Finally, while it’s a good idea to say “no” when you need to, it’s important to make sure your rejections come from the right place. Saying “no” because you don’t have the right skills or enough time for a task is fine, but don’t reject opportunities because you’re afraid of the unknown.